Garage Management Company offers Zipcars in several of their locations throughout Manhattan. As a Zipcar customer you are also a GMC Parking customer so we look forward to seeing you in our garages. Garage Management Company has a longtime relationship with the New York Athletic Club on Central Park South, one block from Central Park. GMC Parking offers valet parking services for the club and looks forward to taking care of your parking needs during your stay in Manhattan. As a person who is doing their part for the environment we would like to do our part to help you. If you have an electric vehicle or energy efficient vehicle we would like to offer you discounted monthly parking in many of our locations throughout Manhattan. 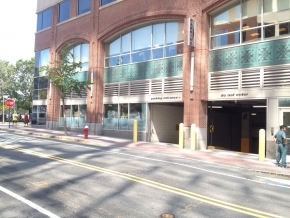 If you consider using a parking garage new york city, We offer car storage NYC and monthly parking new york for your parking needs.